Here is a willow project that we did in Carlisle in 2001. those children have probably got families of their own by now. 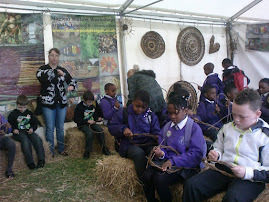 i remember that they had fun weaving willow as they had never done anything like it before. the school was knocked down a few years ago to make place for a new academy.